Blockapp is an iPhone game developed byMartin Ysa. In many ways, this game is like playing Tetris in reverse! While Tetris is a game where blocks fall down, the blocks in Blockapp need to be slid up to the top of the screen. The controls are pretty straightforward. 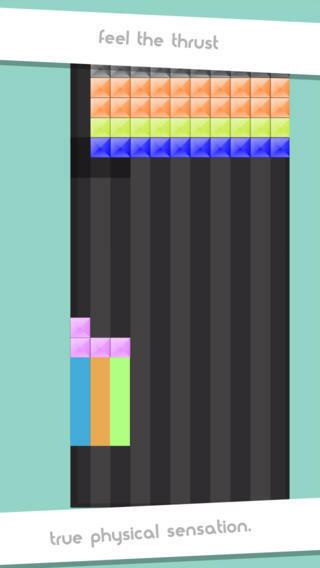 Tap the screen to rotate the brick, and then drag it up into place. 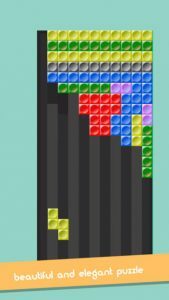 There are guidelines across the screen, which helps you to line up your blocks as you slide them into the proper position. 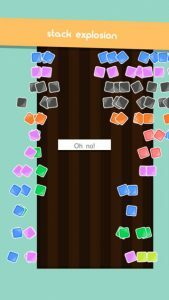 One thing that makes Blockapp very different from similar block-droppin” puzzle games is the pace. 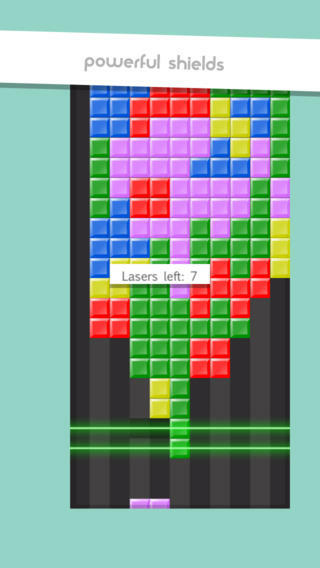 This is a Tetris-inspired puzzle for players who dislike speed rounds or timed best online casino rounds. This is a more slow-paced, thoughtful puzzler for people who love to strategize. That being said, some players might long for a more fast-paced experience right out of the gate. As you break blocks, you earn coins. These coins, in turn, can be used to purchase shield boosters, different types of blocks, and “tool” bonuses. Examples of tools include the “ghost shape” (which gives you a better visual of where your block will land) and the hold tool, which lets you hold a piece in reserve for later use. The music that plays in the background of this game is a chill, electronic lounge kind of thing, and it perfectly suits the contemplative nature of this puzzler. The music also fits well with the aesthetic style of the puzzler. One thing that is nice about this game is that it tracks a bunch of in-game stats. From your profile screen, you can see your high scores, time records (shortest and longest games), number of walls destroyed per game, and how many “protector” powers you have. With a leisurely pace, tons of power ups, and precise controls, Blockapp is an interesting take on the classic Tetris formula. Blockapprequires iOS 5.1 or later. Compatible with iPhone, iPad, and iPod touch. This app is optimized for iPhone 5.